As with most households, there are rules at my doodlebugs’ house that I help to reinforce. One of them has to do with how to use balls in the house. They have those pastel colored balls that are about 8 inches in diameter, which they are allowed to ROLL or KICK GENTLY. They are not allowed to THROW the balls. Yesterday, I had a very brief discussion with Michaela about this when she took out one of the balls. Once I had to remind her of the rule, she lost interest. Who wants to just ROLL or KICK GENTLY, right? He is two and a half. I was totally schooled. 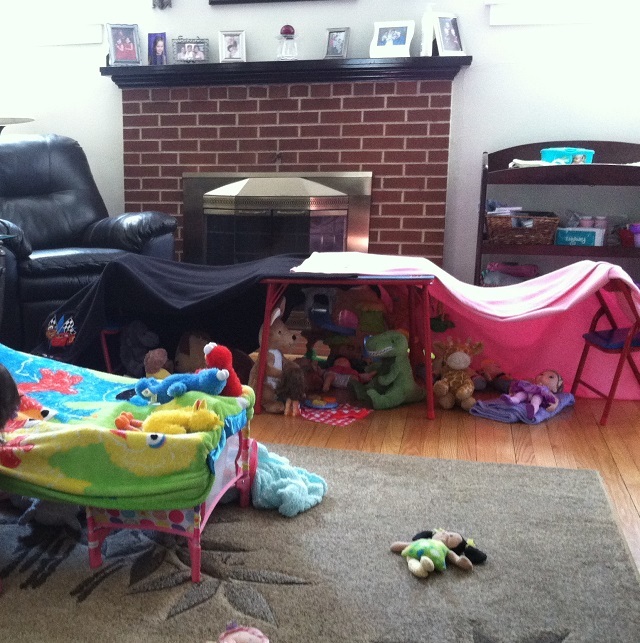 Posted in Uncategorized and tagged fort, picnic in the living room on March 7, 2014 by lizytish.